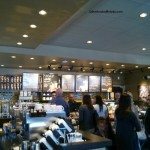 It seems like Starbucks has been opening up a lot of new stores! Yesterday, April 17, 2015, was the official grand opening of a totally new Starbucks in Burien, Washington. You are invited. 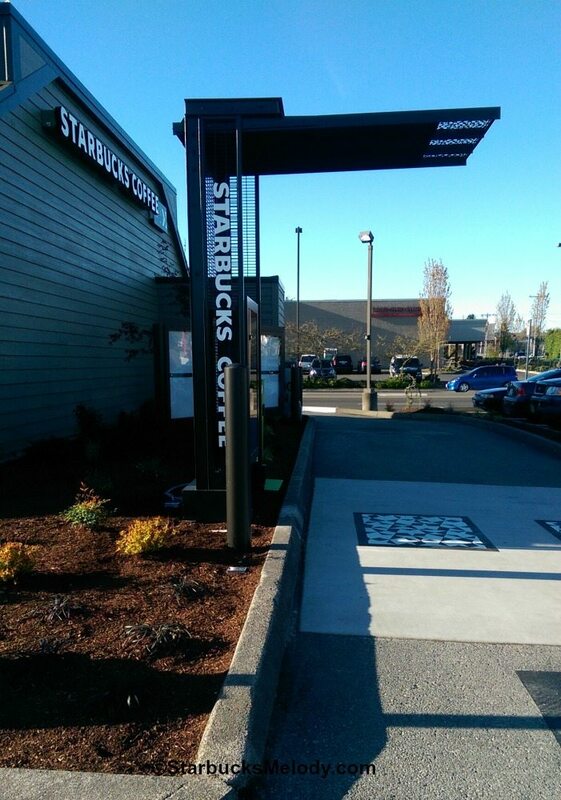 It’s a drive through, has a huge lobby, and a very friendly team of Starbucks partners! It’s been a while since I’ve put a spotlight on an all-new store. I went to the “friends and family” event Thursday evening, the 16th, though the store wasn’t yet officially open for business. 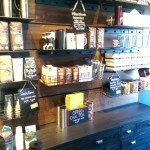 The store manager is Stephanie – you will like her! She found me on Instagram and invited to me to the friends and family. 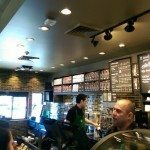 I love that passion and outreach to customers via social media! 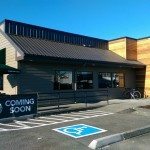 You can follow the new Burien Starbucks on Instagram here. 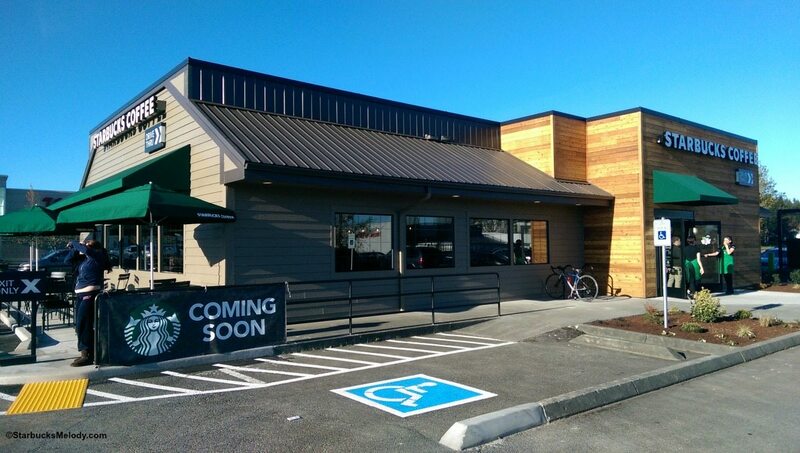 The store address is 901 SW 148th Street, in Burien, Washington. 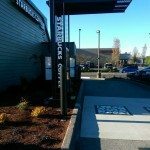 One thing I want to mention is that the newest style for Starbucks drive-thrus is to use the MyStarbucksRewards star pattern on the driveway where the cars stop. Something about that is a brilliant idea. 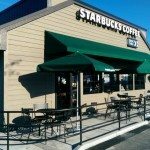 Enjoy the pics of the new store! 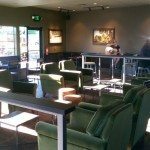 If you have pictures of a very new store you want to share on StarbucksMelody.com, email me at Melody at StarbucksMelody dot com. 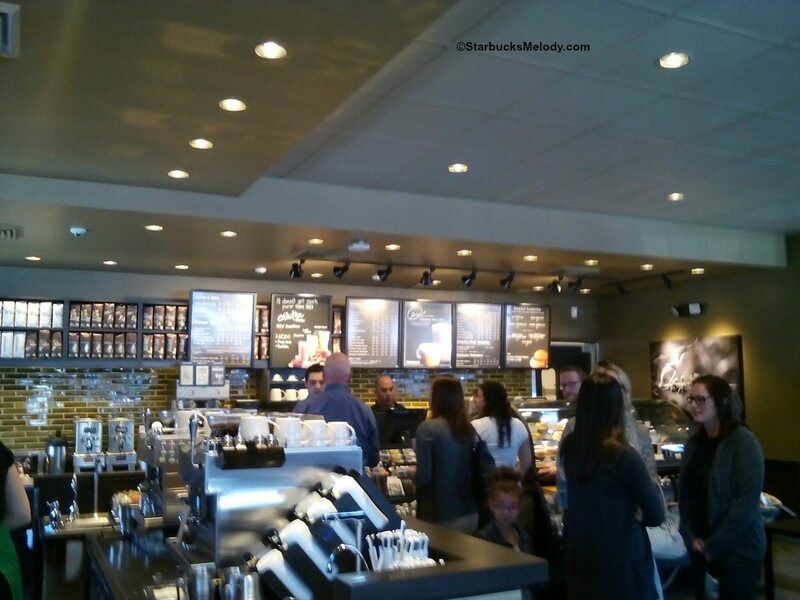 It's shiny & golden at Starbucks but what does it do? The answer may surprise you. 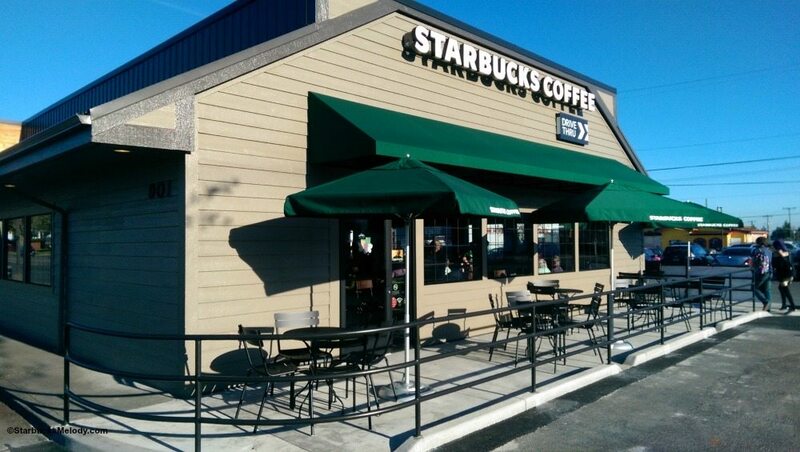 The new Woodburn, Oregon drive thru Starbucks: One of just 19 special stores. This store is gorgeous! I love stand-alone stores (as opposed to one that is in a shopping strip or is part of another building). 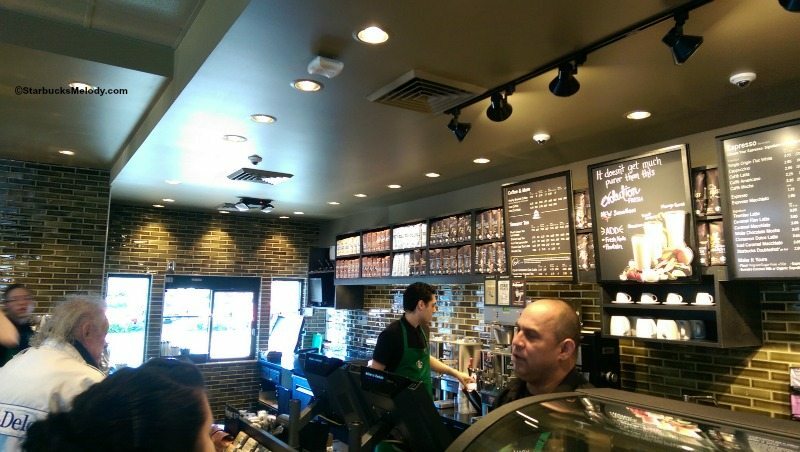 I am so impressed with how much room there is in this store! I always think the bigger cafes look better than the smaller ones. Lots homier. The back splash behind the bar is very pretty too. I think it’s very interesting that this is a big store with DT attached yet the merch wall is so small. I remember you featuring another Seattle store (I think it’s in Seattle) that also has the smaller merchandise area. I like it! Great post Melody! Hi Claire! I’m a fan of these stand alone stores too! And it is interesting how little merchandise there is. But that’s because there’s SO little merch compared to a decade ago. I miss some of the huge variety of merchandise of yester-year. 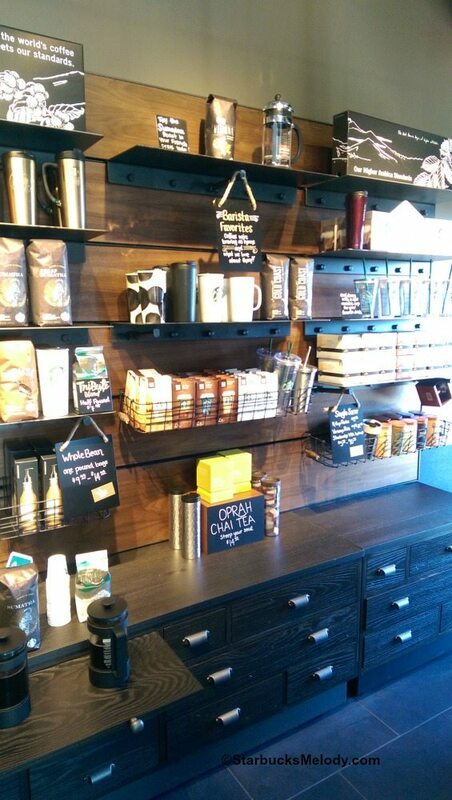 Thanks for your comment – I so rarely write anything about a core store – non-reserve and non-evening – it was overdue to write this kind of article, and celebrating a brand new store is definitely a worthy occasion! Oh by the way, this building was once a Skippers! I totally like it when a new store opens up in a ny neighborhood! I tend to like smaller café stores because they have that small independent coffee shop feel. Makes it more neighborly other than a huge corporarion. But, this store’s design is really beautiful! Thank yoy for sharing this Melody! 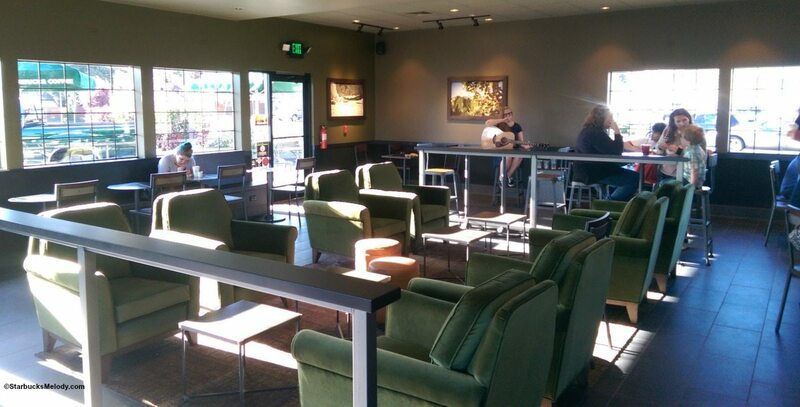 It’s so awesome to see any new Starbucks store open! LOOOVE!!! I’m about to open a new store, so it’s exciting to see new store designs. I hope I get the new DT Evolved look. (I think I will!) Everything looks so pretty and happy! 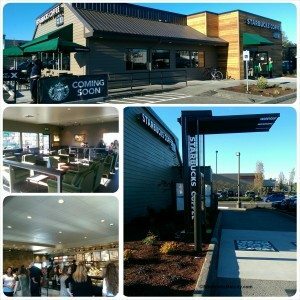 Congrats Stephanie on your new store!! !